Horizontal Autoclave High Pressure Cylindrical Standard is electrically heated sterilizer under saturated steam of Adjustable pressure of 10 to 20 psi. Horizontal Autoclave is fitted with automatic pressure control switch and automatic low water level cut off device. 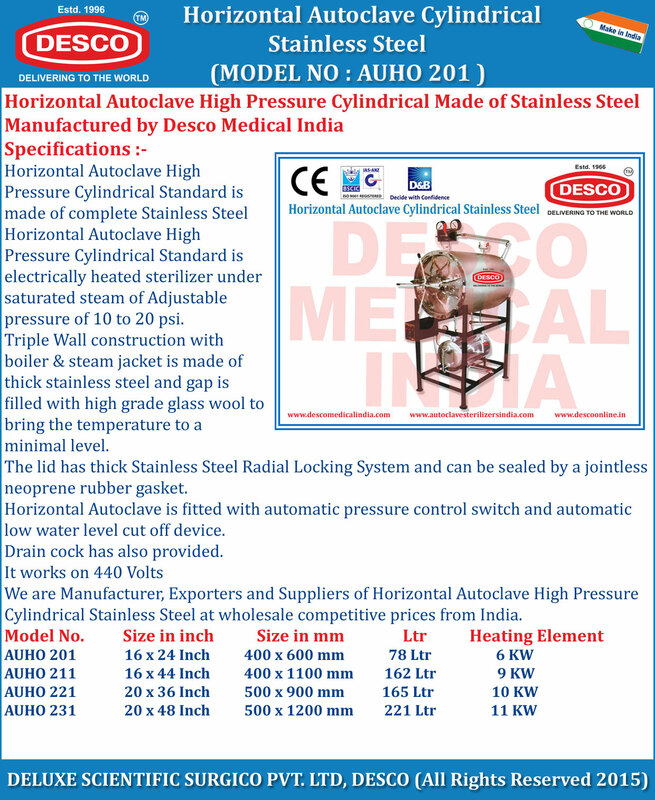 We are Manufacturer, Exporters and Suppliers of Horizontal Autoclave High Pressure Cylindrical Stainless Steel at wholesale competitive prices from India.